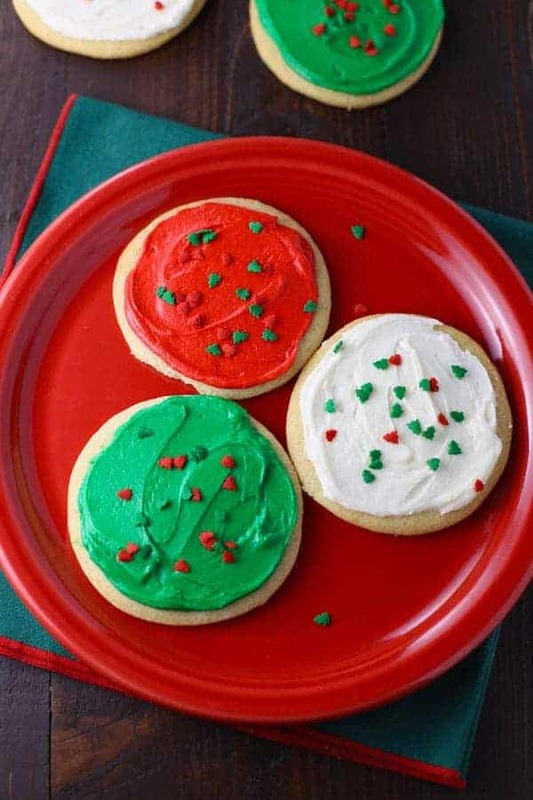 Mary’s Sugar Cookies are a classic sugar cookie recipe with buttercream icing and sprinkles. Click here for video. I’ve had two people ask me about sugar cookies in the last week. I offered to make a treat for my neighbor to say thank you for watching our pets. He requested sugar cookies. Then, I ran into an old friend at my son’s basketball practice and she asked me if I had a good sugar cookie recipe! Well, yes Kate, I certainly do and here it is. 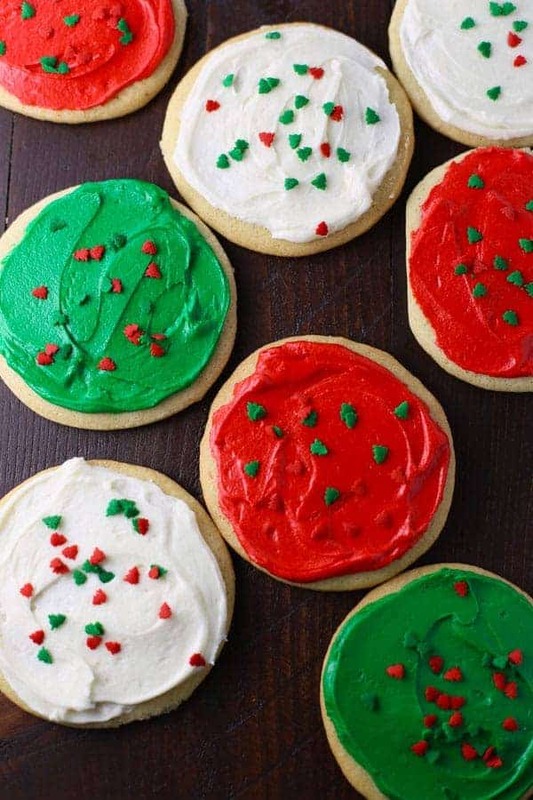 My aunt Emily used to make Mary’s Sugar Cookies every Christmas and I’ve been making them as long as I can remember. Usually around the holidays but they could be enjoyed any time of year. 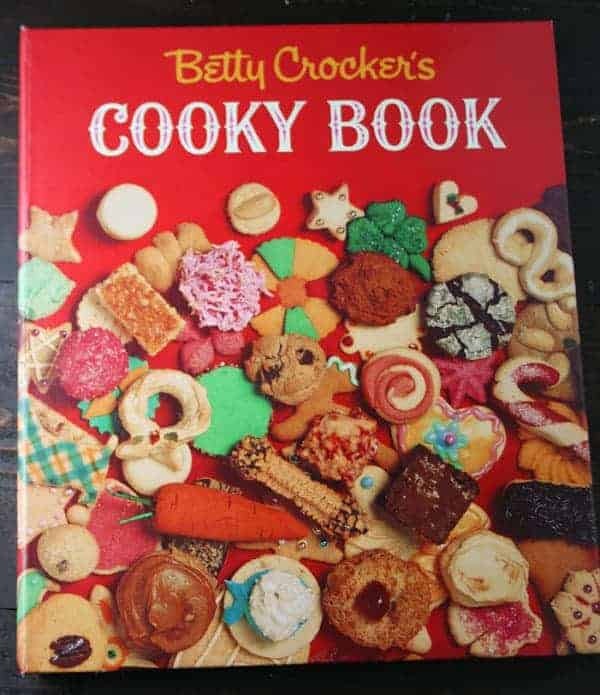 I’ve never asked her, but I’m pretty sure my aunt Emily got the recipe out of this cookbook, Betty Crocker’s Cooky Book (Copyright 1963). The recipe for Mary’s Sugar Cookies is in this book (page 18) and it’s exactly the same as Emily’s. It’s such a great cookie book. I just love it! One hundred and fifty pages of every kind of cookie known to man. And there are LOTS of photos which makes me love it more. It’s not easy to find but they do have the book on Amazon. Click here to see it on Amazon. To make the cookies, start by making the dough. Then you divide it in half, wrap in waxed paper and place in refrigerator for 2 hours. Take out of the refrigerator and let it sit for about 10 minutes. 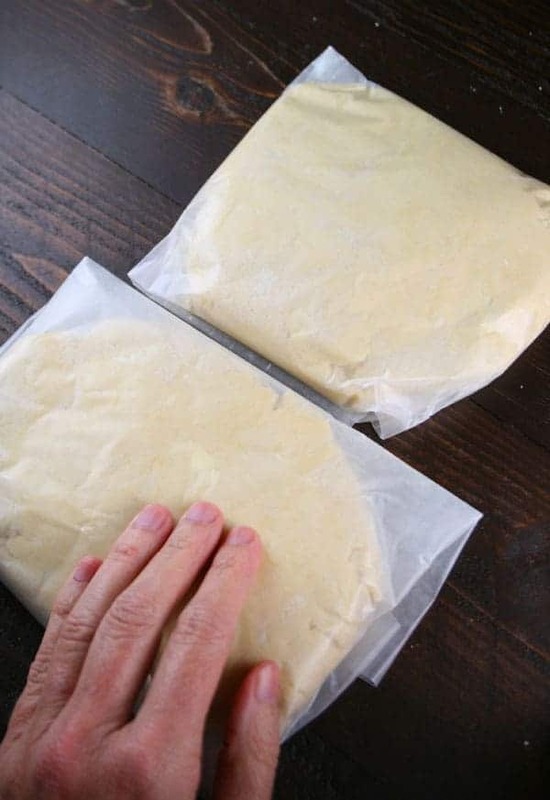 Roll out each disk of dough between two sheets of parchment paper. You can also roll out on a lightly floured surface but it’s not as messy this way. 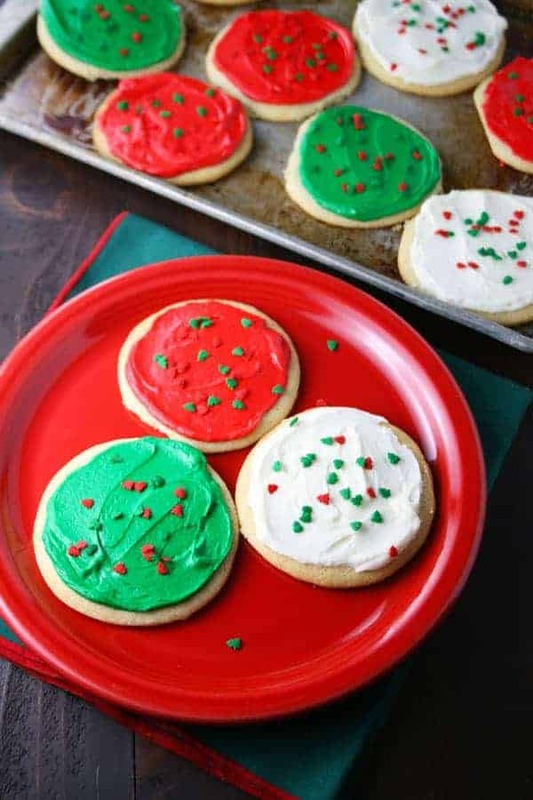 Cut the cookies into your preferred shapes, remove the extra dough and place on a cookie sheet. Bake for 7-9 minutes at 350°F. Frost the cooled cookies and add sprinkles. You can also color the frosting, if you wish. This recipe has been around for over 50 years. I would say it’s definitely an oldie but goodie. 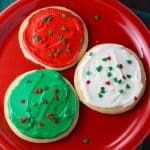 My kids are crazy about these cookies and so am I! Mix sugar and butter. Add egg and flavorings; mix thoroughly. Measure flour. Stir dry ingredients together and blend in. Refrigerate for 2 hours. Heat oven to 350°F. Divide dough in half and roll 3/16" thick on lightly floured surface. 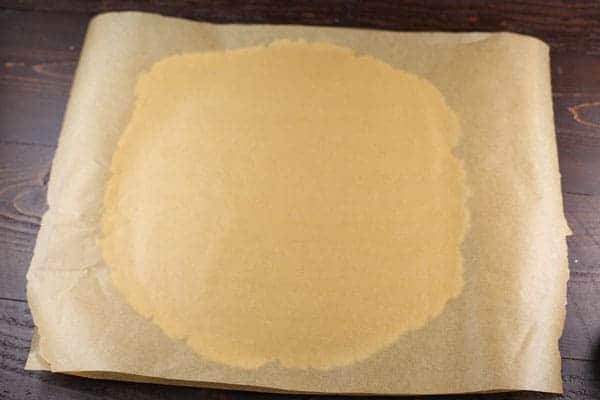 (I roll it between two sheets of parchment.) Cut with cookie cutter. 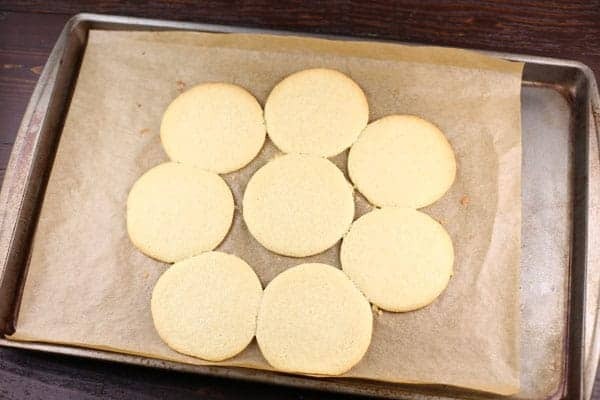 Place on lightly greased baking sheet or, if using parchment paper to roll out cookies, just place the parchment paper with cut cookies right onto a cookie sheet. Bake 7-9 minutes or until delicately golden. Makes 30 (3") round cookies. Meanwhile, make the frosting. 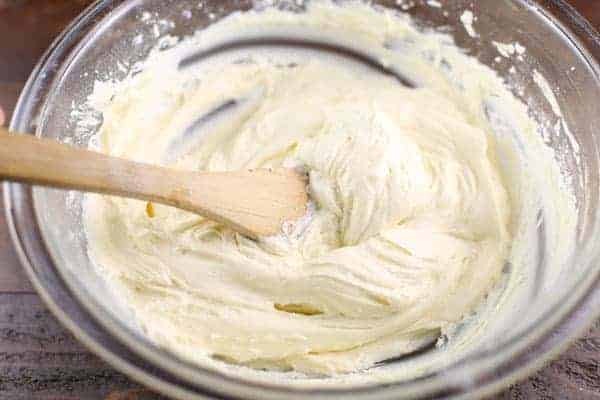 Beat butter, sugar, milk and vanilla together until smooth and creamy. 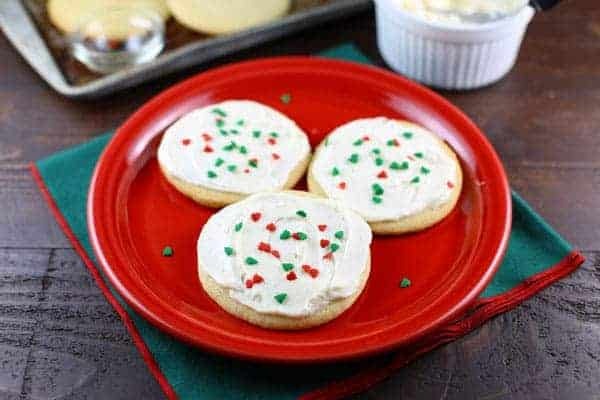 Frost cookies and add sprinkles, if desired. This post is featured on The Southern Plate Meal Plan Monday #37!